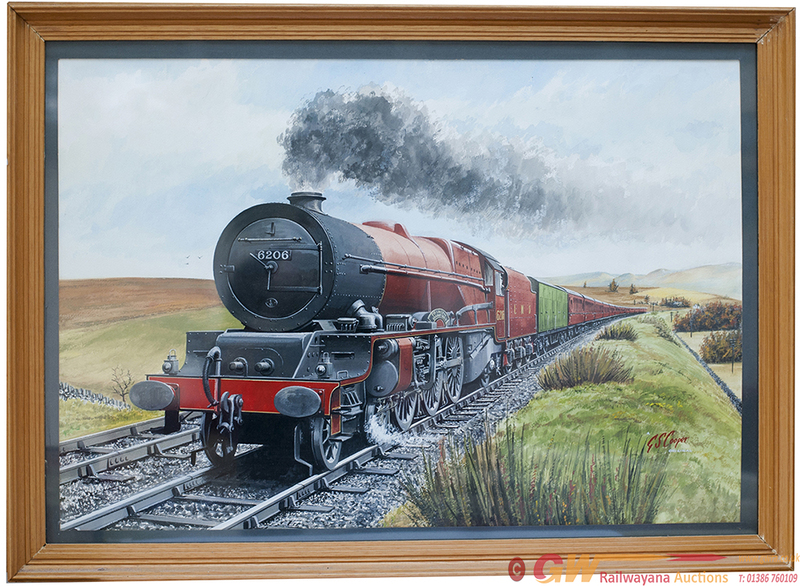 Original water colour painting of LMS 6206 PRINCESS MARIE LOUISE by G.S. Cooper. Painted on board and framed and glazed, measures 33in x 24in.